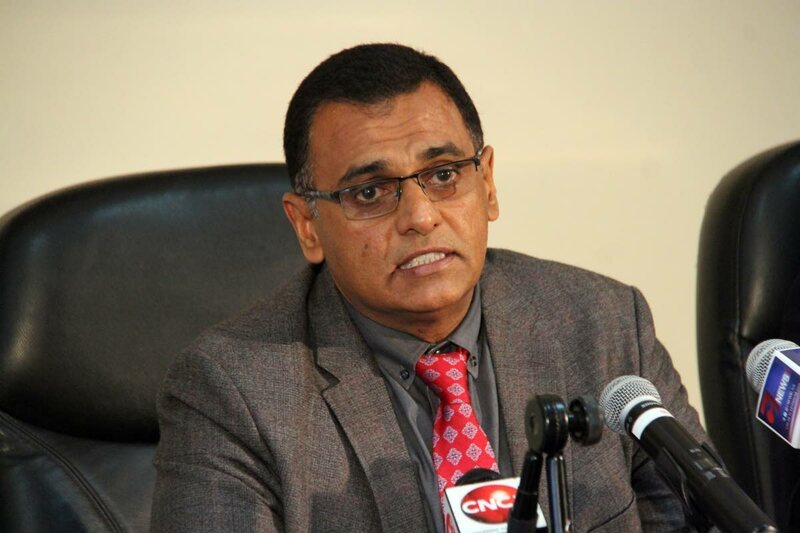 WORKS and Transport Minister Rohan Sinanan said the Opposition walkout led by Senator Khadijah Ameen on Government's response to recent flooding broke the morale of those patriotic people working in relief efforts. He was contributing to the Senate debate on the budget today. Sinanan said he spent the last couple of days on the field in not-too-comfortable conditions. Sinanan said en route to St Helena today he heard Ameen's contribution. “If the water didn’t break my spirit, that contribution broke my spirit. My staff was also listening in the vehicle, and for the first time I saw their faces drop." He said her criticism of the government damaged the morale of public servants, government officers and the different arms of law enforcement who had been doing yeoman service, including some who had not been home since Friday, and Coast Guard officers whose homes had been flooding. Sinanan said people, corporate citizens and NGOs were coming out and helping. Sinanan said Ameen criticised the Prime Minister for "standing on dry land" and then leaving. He said, however, that was Rowley's second visit to the Greenvale area after visiting shelters, then Kelly Village and later Sangre Grande, where they spoke with the chairman and MP and thanked the police for their yeoman service. He recalled Rowley said he did not want any media. He said he spent five hours in the field, but only saw Ameen for five minutes in Greenvale, and it was "disheartening" to see her on a dinghy being pulled by the Coast Guard. He explained the dinghy was not for senators, ministers or MPs but to evacuate people. "Jump in the dinghy and get photo op and gone." He said the Coast Guard, Air Guard and Army were in Greenvale and if the Prime Minister went it would have distracted the security services when they should have been concentrating on the people. He added that hugging babies and giving out hampers will happen, but the impression Ameen gave was that the government was not doing anything. Reply to "Sinanan: Opposition broke the spirit of TT patriots"